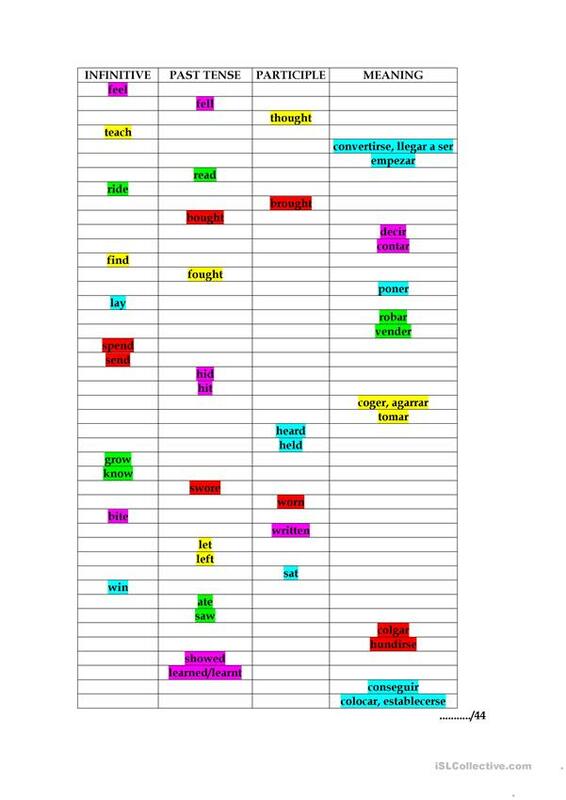 In the first part, students must fill the chart with the irregular verbs (infinitive, past, past participle and spanish meaning) I've chosen the most commontly confusing verbs. 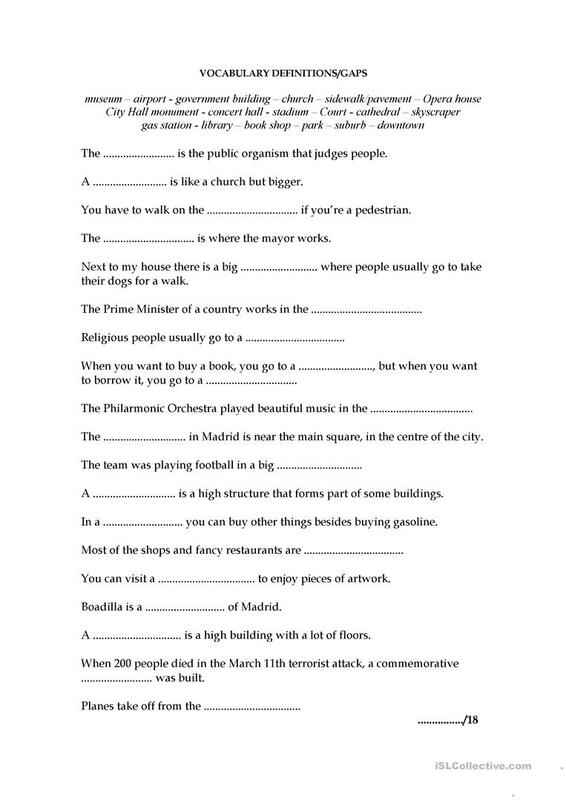 In the second part there are some sentences with definitions about places that you can find in a city. Students must fill in the gaps. The above downloadable teaching material is a great resource for high school students, elementary school students and adults at Beginner (pre-A1), Elementary (A1), Pre-intermediate (A2), Intermediate (B1) and Upper-intermediate (B2) level. It is great for teaching Irregular verbs in English, and is excellent for enhancing your groups' Spelling, Speaking, Reading and Writing skills. It features the topic and words of City.